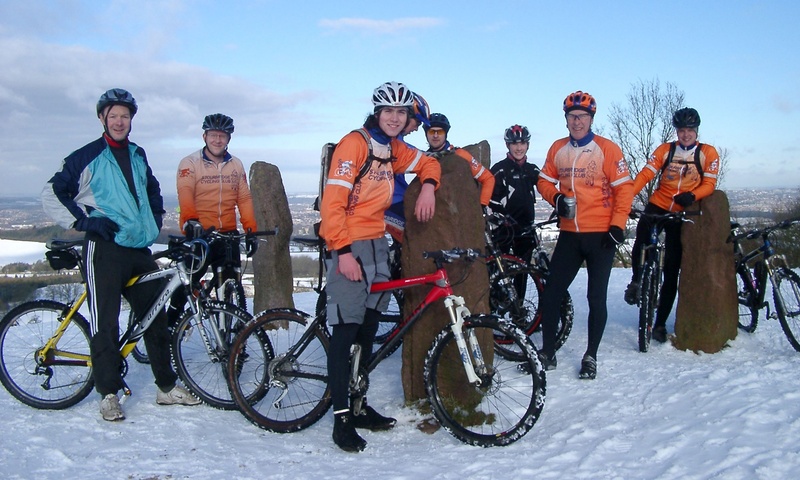 Here we showcase our members who have made noteworthy cycling achievements. In June 2018, seven club members set out to ascend Mont Ventoux 3 ways in one day. Steven Garbett tells their story. The following interview were conducted with some of our noteworthy members by club member Maggie Thompson. Maggie, a past committee member, was a prominent track rider in the 1970’s, competing initially under her maiden name, Margaret Gordon Smith. Her speciality was the Pursuit, over 3000m, winning the National Championship in 1977 and again in 1978 beating big names such as Beryl Burton and her daughter Denise, Brenda Atkinson and Catherine Swinnerton. Outside the UK, she rode in 1971, 1977 and 1978 track and road World Championships and gained 3rd place overall in the 3-day Tour Feminine based at Le Havre, France in 1978. Wally Fowler: Ride across America, Gold medal World Masters Track Championships 2008. Louise Robinson: World cyclo-cross silver medal, competed in Sydney Olympics 2000. Roger Iddles: Fastest over 60 years of age at 10 miles with a time of 19:53 in September 2005. World Masters TT and RR champion 2006, World Masters TT champion 2009. The Payton Family: All four family members are habitual cyclists. Tom and Hannah are the ones taking the honours at present. Jason Brookes: Audaxes, 24hr, endurance. Wayne Baker: World trike champs silver medal 2002, 2004: bronze 2003. Also silver medalled in the Poitou-Charentes International Challenge 1998 and 2001; bronze 1999. Isla Rowntree: Multiple National cyclo-cross champion, World Masters cyclo-cross champion.